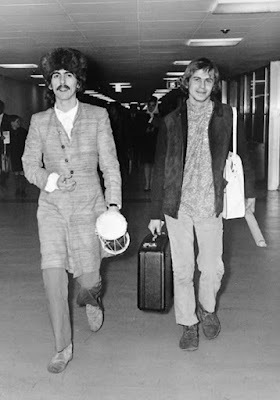 I always wondered if Patti went with George on this trip in January 1968. From the look of things he took Magic Alex and Neil with him. George's first trip to India was in 1966 at the end of the Jesus Christ tour. He went back later that year. The 1968 visit was his third. I meant this to mean that it was his first trip to India in 1968. 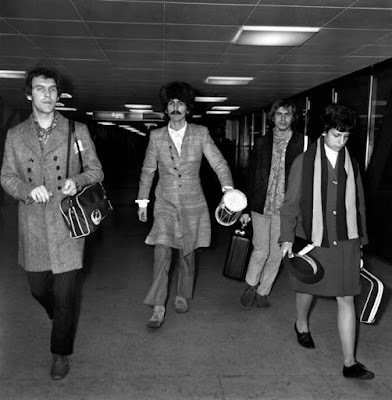 Everyone assumses that when the Beatles all went together was his first time in the country that year, but really he went on his own eariler. Patti was not with George on this trip, she was home alone in Esher. ( housekeeper and Alan were around at this time ), so not quite on her own, but as good as. Thanks! I have read conflicting information about if Pattie was with him or not. Hello Sara. Love your blog. Appreciate the time and efforts that you put into it.